Uber is facing a £500 million, or $US650 million, class-action lawsuit from London black-cab drivers. London cabbies claim Uber’s launch in the British capital directly led to a loss of earnings for drivers. The law firm Mishcon de Reya is bringing the High Court action on behalf of black-cab drivers. Uber is facing a £500 million, or $US650 million, class-action lawsuit from some of its most vociferous detractors – drivers of the iconic London black cabs. Thirteen trade unions and London cabbie representatives are coming together to pursue High Court action against Uber. 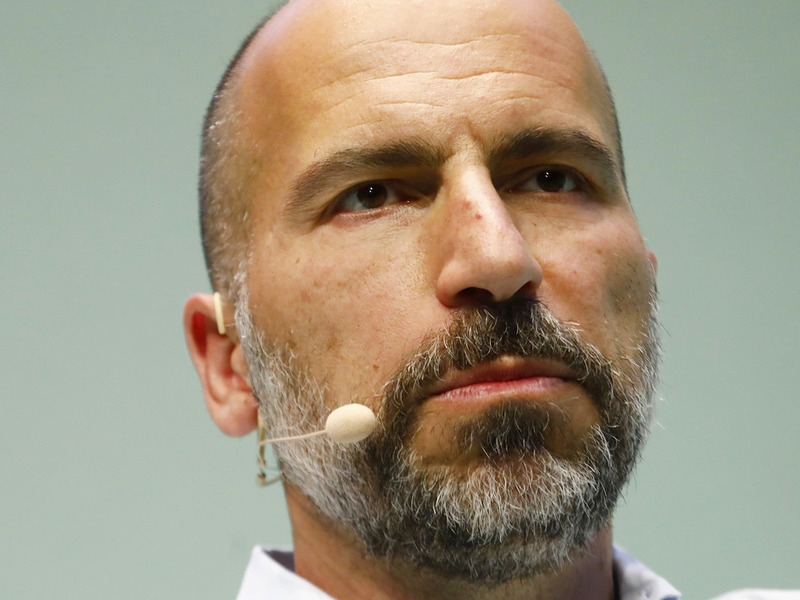 It’s another headache for CEO Dara Khosrowshahi in London after Uber just came through a battle to hold on to its operating licence in the British capital. Put simply, the lawsuit aims to demonstrate that Uber’s arrival has directly led to a loss of earnings for London black-cab drivers. The more drivers who join the action, the higher the loss of earnings. London Cabbie Group Action, which is coordinating the lawsuit, has worked with economists to estimate that it could stack up to £500 million in lost revenue over the past five years. A previous estimate put it at double this. The law firm Mishcon de Reya, which has experience of class-action lawsuits, or group action as they are known in the UK, will bring the claim on behalf of the London Cabbie Group Action. Harbour Litigation Funding is funding the dispute. Uber declined to comment. It is understood that the company is not clear what the basis for any legal action would be. Uber has 40,000 drivers in London. It has agreed to be more transparent and provide better training for drivers as part of retaining its licence in June. “We recognise that there needs to be a level playing field between minicabs and licensed cabs on London streets, but we believe Uber has operated unlawfully, resulting in a loss of earnings for many qualified licensed cab drivers,” Steve McNamara, the general secretary of the Licensed Taxi Drivers’ Association, said. Drivers of black cabs have a long history of antipathy toward their Uber rivals. Cab drivers have staged blockades in parts of London in protest at Uber, while the vitriol is often most pronounced on social media, where cabbies often post images of Uber drivers involved in crashes. The below post was retweeted by the Licensed Taxi Drivers’ Association over the weekend, amid claims from London cabbies that the vehicle involved belonged to an Uber driver.